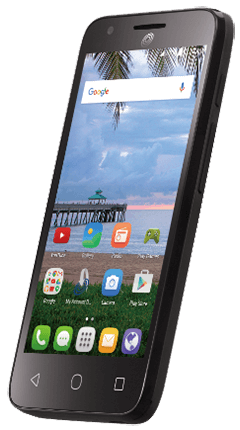 The ALCATEL ONETOUCH® PIXI AVION™ LTE is a refreshingly straight-forward smartphone, which won't overcomplicate your life. With Android™ 5.1 Lollipop you will accomplish tasks with ease. Navigate the device using the 4.5-inch FWVGA display or stream content without interruption thanks to the 4G LTE connectivity. 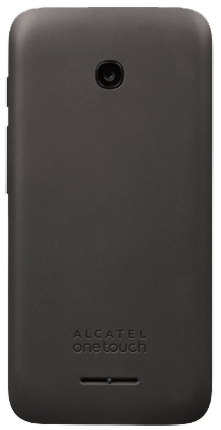 The Quad-Core processor and the 1780mAh battery will work together to give you efficiency and all-around solid battery life. This Phone works with all SIMPLE Mobile 30-Day Service Plans. No Contract, No Credit Checks. Text ALA570BL to 611611 for mobile tutorials.